Heralded as the culinary capital of Australia, Melbourne is rife with diverse dining options that run the gamut from laid-back, stroll-in cafés to ultra-high-end and sophisticated restaurants. A melting pot of cultures and cuisines, the city offers something for everyone. Here, three spots that put as strong an emphasis on design as they do on the menu. Tucked into the city’s Prahran market, Q le Baker offers patrons delectable goods in a show-stopping scenario. 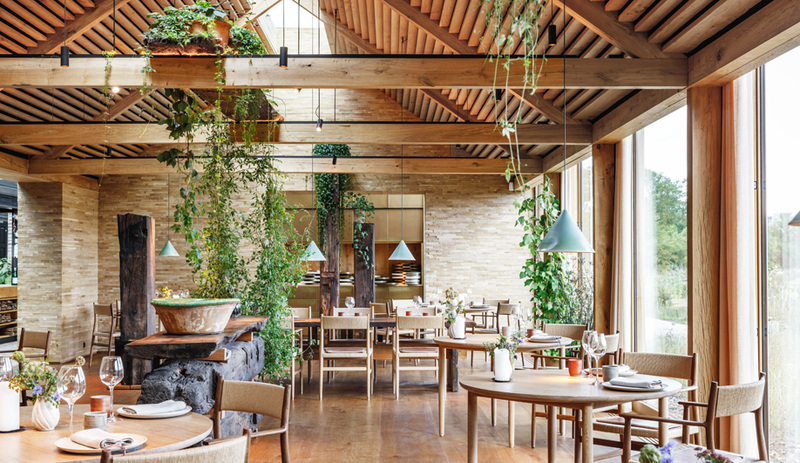 Designed by local practice Adele Bates, the bakery boasts a masterful blend of materials: rippled concrete walls, dark-stained timber and luxe marble work together to deliver a meticulously refined aesthetic, and one that cleverly uses fresh-baked pastries and loafs of bread as accents. Large windows frame the kitchen, turning it into a theatre for visitors who can watch the inner-workings from the outdoor dining area. The design is strikingly simple but no less effective at placing an emphasis on what is being served. A 40-minute drive outside Melbourne, the Workshop Brothers Glen Waverley is well worth the trip. Situated in a once-dilapidated restaurant, the café and restaurant has been transformed by Melbourne’s Studio Esteta into a stunning scene for Asian-inspired food and exceptional coffee. The execution revolved around a repeated circular motif, a familiar form that was chose to celebrate the owners’ heritage. Large circular cutouts dominate the layout without overwhelming and help to create a seamless flow from the entrance through to the exposed kitchen at the back. 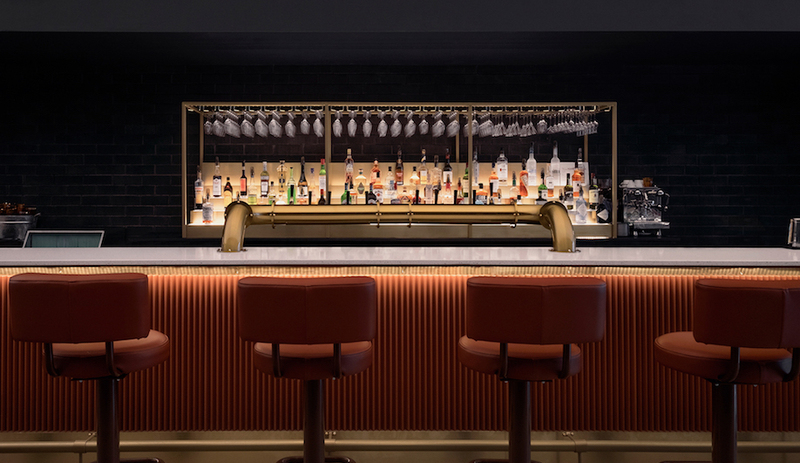 A subdued palette of pale pink and blonde wood is interjected with considered contrasts of rich plum, gleaming brass and granite-like marble. Simple furnishings included vinyl-clad benches and shapely bentwood chair, resulting in a refined backdrop for sharing a bite. 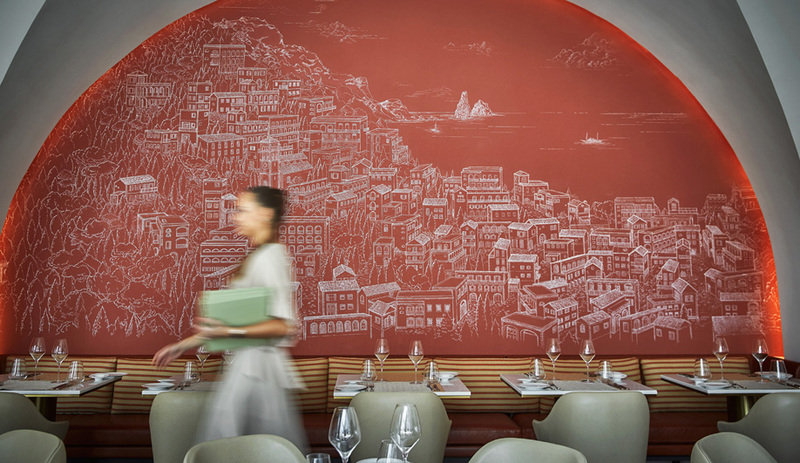 For their second collaboration with the owners of this breathtaking restaurant, Biasol went nostalgic and drew inspiration from the classic Greek delicatessens that once populated the city in the 1950s. To that end, Moroccan tiles hand-painted in lively teal and crisp white were partnered with smooth concrete surfaces and shiny brass elements. Skylights embedded in the 4.5-metre-high ceilings flood No 19 with natural light, contributing to the serene palette established by warm woods, teal, grey and pink upholstery, matte-white tubular shelving and spherical lighting. Anchoring the long, narrow space is an eat-at concrete counter topped with white-painted screening and luscious green plants.